Be included in the ‘NEW’ Saint Elizabeth Ann Seton Catholic Church Directory. We need YOU to make our directory complete! To celebrate our Parish family and strengthen the bond within our Parish, we welcome you to be a part of our upcoming new pictorial directory. We are partnering with LIFETOUCH for this important project. Lifetouch is providing the directory at no cost to our parish. 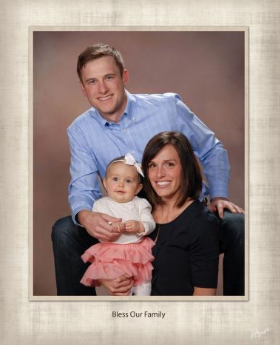 Every family photographed receives a complimentary directory and an 8×10 portrait. Click here to schedule your photography session or call Lifetouch at 1-866-756-0281, M-F 9:00 am – 5:00 pm. Also, you will have the opportunity to sign up after Mass the weekends of April 13th & 14th and 27th & 28th. * Your photography session will take about an hour, during which time you will check-in, be photographed and view your portraits. For your convenience, all photography and portrait viewing will take place at our church with NO sitting fee. You will have a variety of poses taken. The Parish will select one family pose for the directory. In addition to your complimentary 8×10, you will have an opportunity to purchase additional portraits on the day of your portrait session. Lifetouch’s portrait price lists are available in the narthex for those would like them prior to photography. Any family placing an order will receive $30 in free products at Shutterfly.com! Our Parish is receiving a donation of $5 per family photographed from Lifetouch to be used for the ministry of the Parish. Plus, when you bring a canned/dry good food item in on photography day, those items will be donated to local hunger relief efforts and you will receive $5 off your order, should you choose to order additional portraits. Be sure to take advantage of the opportunity to be professionally photographed. We are looking forward to seeing you in our directory and encourage 100% participation! Questions? Please contact Christine O’Hearn.